Nissan Formula E driver Alexander Albon has emerged as a candidate for the second Toro Rosso drive in Formula 1 next season. Toro Rosso is yet to confirm who will partner the returning Daniil Kvyat at the squad, with existing driver Brendon Hartley currently without a new deal. With few options within its driver development program, Red Bull has been looking at other options to fill its ranks for 2019 after Daniel Ricciardo’s shock move to Renault. In response, Pierre Gasly has been promoted to the senior team and his seat filled by Kvyat. The Russian was re-hired after being dumped by the Austrian company in the latter stages of the 2017 season, and had since joined Ferrari as a development driver. New Zealander Hartley meanwhile has been under pressure for much of the season, with a number of drivers linked to his seat. 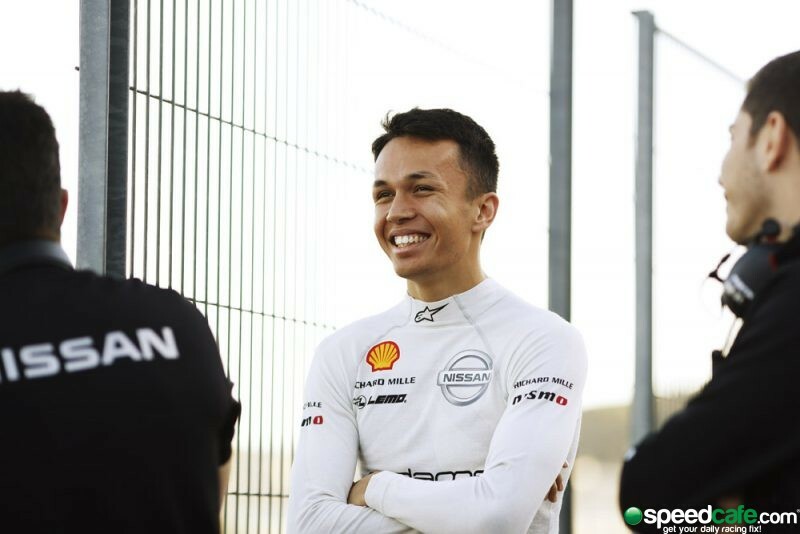 Among them was Lando Norris, who has since been confirmed at McLaren, while Pascal Werhlein had also been touted as an option before the German was confirmed at Mahindra Racing in Formula E.
However, Nissan driver Albon is now the latest to be linked with a move into F1 at Hartley’s expense. The Thai racer is currently competing for DAMS in Formula 2, where he sits second in the championship with four wins to his name. He’s also signed on to race for e.dams in Formula E alongside Sebastien Buemi for the 2018/19 season. The 22-year-old was listed to drive during the opening day of the all-in Formula E pre-season test in Valencia on Tuesday, but didn’t turn a lap. Reports suggest that was due to ongoing negotiations between Nissan, which runs the e.dams squad, and Red Bull’s motorsport boss Dr Helmut Marko. “Alex is a talented young driver with a lot of potential and is sought after,” a Nissan spokesperson told e-racing365. 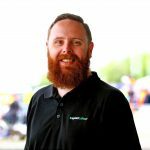 Aside from Racing Point Force India, which is yet to confirm either of its drivers, there are only two seats left on the 2019 F1 grid. One is that at Toro Rosso, and the other alongside George Russell at Williams. Should Albon join Toro Rosso he would become just the second Thai driver to compete in F1 in the sport’s 68 year history. The only other Thai driver was Birabongse Bhanudej, more commonly known as Prince Bira, the Prince of Siam, who competed in 19 grands prix in the early 1950s.